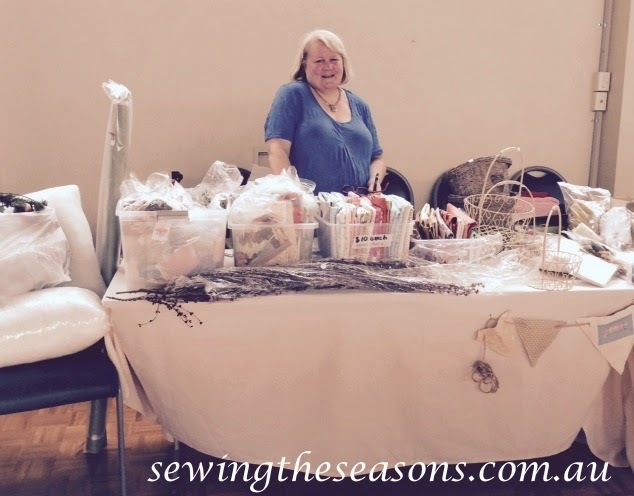 Yesterday I had a couple of tables at the first Destash Market at Hornsby. The Destash team have held several over the past few years on the Central Coast (about an hours drive north from here) and they have been going from strength to strength so it was great they were able to organise one closer to home. I had wanted to get up to one of Coast ones but life has a way of interrupting plans........yesterday though it was all systems go & was a very successful day. So, what to take? Over the past few weeks in between market sewing & work, I have been gradually building up a pile of craft supplies - fabric, Christmas trims, wadding, toy fill, craft kits & other bits & pieces. 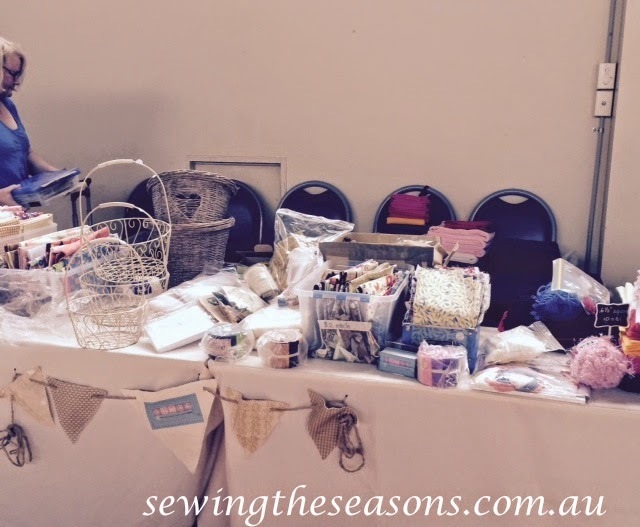 The Destash Team gave some handy hints on pricing & planning the stall space. I went with my goods priced but was mentally prepared to adjust the price if people wanted to bargain. The whole idea was to DESTASH those extra supplies so unrealistic pricing would mean bringing stock back home. Marilyn & I had a lot of fun meeting many crafty people & were thrilled to bring several empty containers home. The table looked cleaner & with more space as the morning went on. We kept a tally of our sales & within the first hour had covered the cost of the table hire so went straight into profit. But for me, the aim of the day was to clear out, to cull, to make a dent in my large supply of fabric & this was successful. 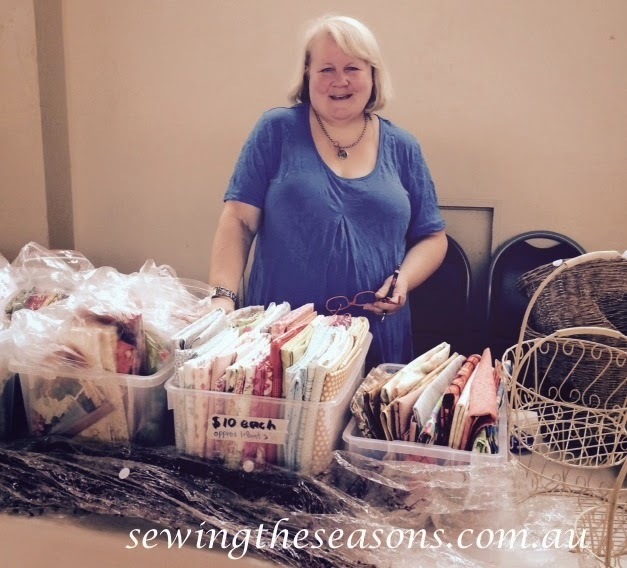 One of the most successful sellers for me was the bags of left overs from quilt projects - these included cut strips & squares but also quite decent sized pieces of the fabric from the project. I had priced them low at anywhere from $2 - $5 & yes the fabric was worth more than that but they were leftovers! I had bought the fabric with a particular gift in mind, made the gift, given the gift & in some cases already utilized the pieces in smaller projects but they were taking up space. 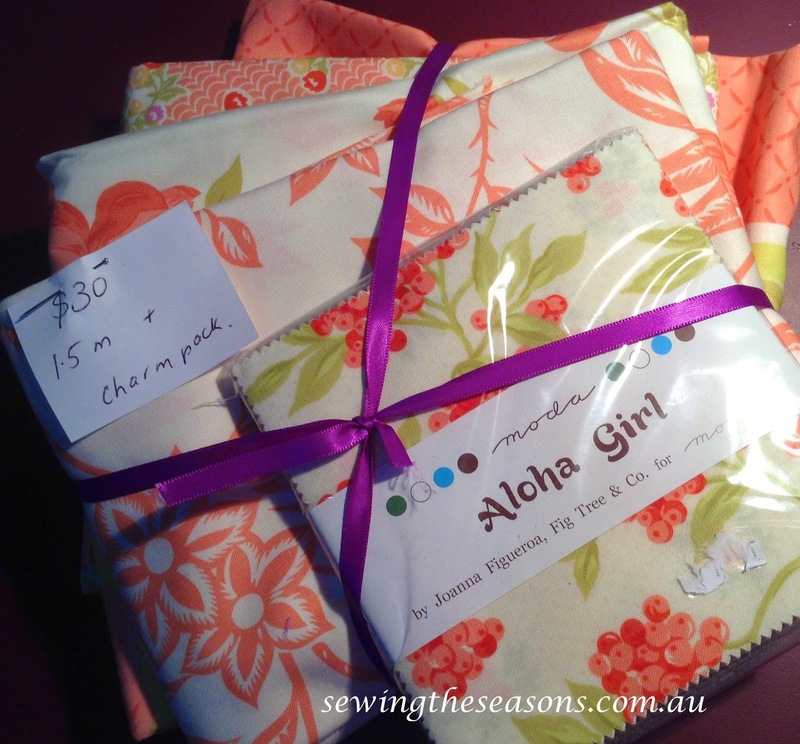 I was pretty strong too & only bought one item from the stall next door - a fabric pack of a newly released line to make up one of the patterns I am currently designing so felt that purchase was well worth it. The Destash team took some great photos of the day if you want to check out the range of what was on offer, take a look at their photo album. Remember, the exciting thing about a Destash market is that each time the items on offer will be different & unique. It's great to know they are currently planning another Destash in Hornsby later in the year so check out their facebook page if you want any updates on either the Hornsby or Central Coast markets.. There is one data file with shared data access. This means that you, your irenas Randwick bookkeeper or your accountant can all work on the file at the same time knowing the data is current. There is no need to email or drop off files. Hardware needs at your office are reduced as you just need internet access. There is no need to install and maintain software on individual desktop computers…..